Films like KAHAANI, TALAASH, also most films helmed by Abbas-Mustan had this uncharacteristic quality of keeping the spectator on tenterhooks till the last frame. A taut thriller demands that the spectator stay vigilant, is all eyes and ears as the story unfolds, becomes a participant while the mind games are being played by the characters on screen… Table No. 21, directed by Aditya Datt, which sets the ball rolling in 2013, truly symbolizes a riveting thriller. It’s not just the premise that grabs your attention, but TABLE NO. 21 stands out because it doesn’t borrow the formulaic template, nor does it rely on the predictable twists and turns or caricaturist characters to enthrall the spectator. It’s clever, engaging and carries a message that hits you like a ton of bricks. Importantly, it’s a well crafted thriller that delivers more than what it promised in its attention-grabbing promos. Vivaan [Rajeev Khandelwal] and Siya [Tena Desae] win a fully-paid-for vacation to Fiji. Once there, they are invited to dine at a plush resort, making their wedding anniversary truly special. The owner of the resort — the suave Mr. Khan [Paresh Rawal] — offers them to partake in a reality game show. The prize money? A staggering Rs 21 crores. Eight questions. Honest and straightforward answers. Not quitting the game show till the eight questions are answered… Vivaan and Siya grab the opportunity instantaneously. But the game is not as uncomplicated as they think. Vivaan and Siya feel trapped as the game advances, but they can’t quit it midway. The mystery deepens… Who’s Mr. Khan? Why is he playing this game? Or is he playing with their lives? While the basic premise of TABLE NO. 21 is fascinating, intriguing enough for a suspense thriller setup, the screenwriting packages a series of realistic sequences and episodes that catch you unaware. What starts off as a love story gradually transforms into serious stuff and the suspense and drama plays on your mind even after you’ve made an exit from the dark auditorium. A slick thriller, the film makes you uneasy [towards the conclusion] due to the stark reality it portrays and that, in my opinion, is one of the triumphs of the film. Director Aditya Datt pulls off the innovative concept with élan, as the game as well as the back stories leave you gasping for breath. You might draw parallels with some Hollywood movies, but the message it drives home and the way it terminates makes the viewer in you satiated. While one is itching to describe a few sequences and unravel the course of the film during the penultimate stages, it would be unfair on my part to spill the beans. The beauty of the film will be to watch it without knowing anything and absorbing it like a sponge, since it’s a film about characters and conflict with a big revelation. I’d like to make a special mention of its writing [story-screenplay: Shantanu Ray and Sheershak Anand; additional screenplay and dialogue: Abhijeet Deshpande], which leaves no scope for loopholes. In fact, like I pointed at the very outset, the writing demands that you stay alert and attentive, else you might lose chunks in the plot. The sole deterrent is its slow pacing in its first hour. DoP Ravi Walia captures the scenic beauty of Fiji with proficiency. The narrative boasts of just two songs and both fit well in the scenario of things. The background score [Amar Mohile] enhances the impact. 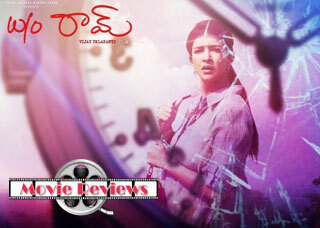 The editor [Devendra A. Murdeshwar] has cut the film very well, with not a single sequence overstaying its welcome. Paresh Rawal gets another author-backed role after OMG – OH MY GOD and though you may label it grey or black on the basis of what you may have witnessed in its promos, the actor sees to it that the character doesn’t get stereotypical or hackneyed thanks to his faultless acting abilities. His character changes colors rapidly, like a chameleon changes colors, taking the film to its peak towards the closing stages. Rajeev Khandelwal’s choice of movies is worth applauding. The actor cannot be accused of getting repetitive since his choice of movies has been as diverse as chalk and cheese. The talented actor portrays a complex character in this film and I must add, he gets the part spot-on. A persuasive screen presence and effortless acting consistently makes this character work and how! Tena Desae is a revelation. Extremely photogenic, the character must have been a challenge of sorts for the actress and Tena handles it most courageously and confidently, getting into the skin of her character. Hanif Hilal doesn’t get any lines to deliver, but his imposing persona and silence stays with you. Dhruv Ganesh is striking towards the final moments of the film. Asheesh Kapoor is alright. On the whole, TABLE NO. 21 is a commendable movie-going experience. If you are an extremely choosy moviegoer who watches select first-rate films a year, make sure TABLE NO. 21 is included on your listing. Strongly recommended!